Most of the world is by now familiar with Google Translate*. 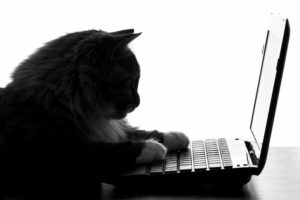 But Computer-Assisted Translation – or CAT, as its known in the industry – is something you may not have come across. While engines such as Google Translate are known as ‘machine translation’ tools, CAT software refers to professional translation tools used to help linguists translate material more quickly, efficiently and consistently. While it by no means does their job for them, it does save time and unnecessary effort, saving on your bottom line in turn. A CAT tool works by recycling previously translated content, which it stores in a memory. Whenever the software recognises a term, phrase or string of text, it will draw on this memory and automatically propose the foreign language equivalent, as translated previously by the translator. Indeed, a great help to the translator. But how does this benefit you? When you submit a text for translation, the CAT tool scans the document in order to compare it against the translation memory accumulated to date. Subsequently, different rates are applied to different memory ‘matches’, based on the word count. This is a sliding scale, ranging from entirely ‘new’ words (new to the translation memory, that is) to ‘100% matches’ (exact replicas of text stored in the memory). The more precise the match, the lower the rate you pay for that word. Capitalising on previously translated content speeds up the translation process, as the translator no longer needs to re-translate the same piece of text multiple times. This applies especially to new versions of documents that have been updated or re-issued with few or moderate changes: rather than translate the entire document again from scratch, the translator need only work on the elements of text that are new. Further time is saved researching words or terms which, again, have been used and translated at an earlier date. This ultimately means that your job will be delivered quicker. This is key in any suite of literature. Monitoring consistency of product names, abbreviations, job titles etc. in multiple foreign languages is, in many cases, simply not possible for you to do alone. Because your translation memory will be updated after each job that is completed, the translator will be able to consult the translation memory to find out how these words have been translated historically, and keep things consistent throughout. What’s more, few translation agencies have in-house translation teams large enough to cover all languages. Having the possibility to share translation memories with freelance translators, means that no single individual keeps your preferred terminology ‘in their head’, and that consistency is guaranteed even when different translators are translating different pieces of work. The CAT tool in this sense future proofs consistency. Last but not least, most CAT tools have a number of quality check features built in. Not only will these check for spelling and grammatical errors, they will also highlight any inconsistency in terminology used, deviations from the translation memory (either intentional or unintentional: the ‘human’ translator always has the final word!) and any missing text. For each of these reasons, Tongue Tied uses CAT tools for the vast majority of translation work. For more information on our work processes or questions relating to CAT and your account, don’t hesitate to get in touch. *Use at your peril! Here’s just one example why. Hello we may be interested. We need to translate the text of each houses on our web. How do you work? and prices? We will send you some information by email. Hi Isabella, you didnt send me information yet. Please can you erase my 2 comments? I would appreciate it. I didnt know this was public..